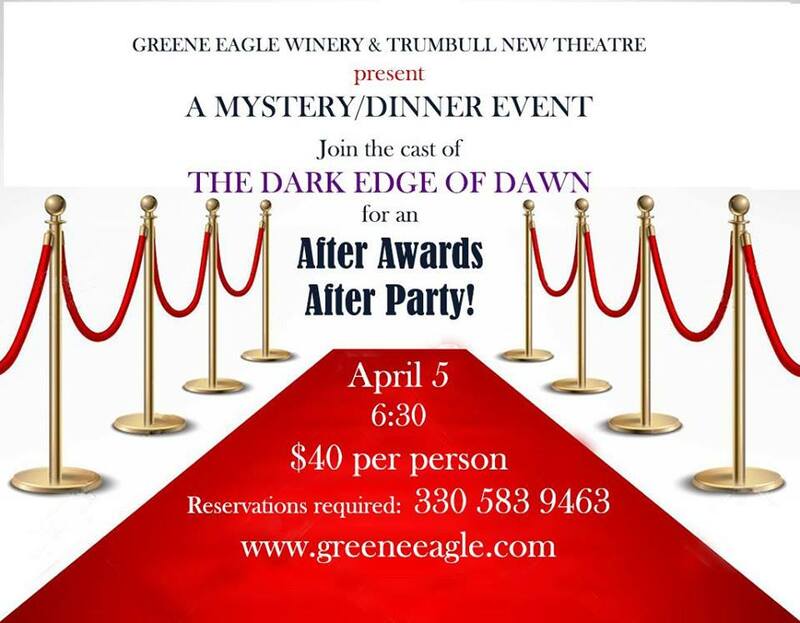 The cast of last year’s blockbuster movie “Dawn’s Dark Edge” drops by the Greene Eagle Winery for an “after awards party”. Tensions and resentments left from filming and constant travel are evident and can lead to mayhem. Join them to celebrate their award and watch as the drama unfolds.